2 Bed And Breakfasts in Asby-de-la-Zouch. Choose from 2 bed and breakfast / guest houses in Asby-de-la-Zouch. Shown below a just a selection of the B&B accommodation available. To search within an area please use the menu on the right. 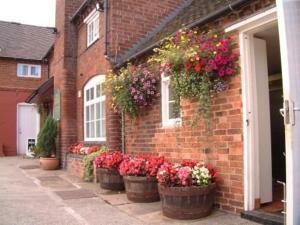 The Staff Of Life - Located in the heart of Ticknall, The Staff of Life is a welcoming 4-star country inn, housed in a Grade II Listed building, south of Derby. Rooms are stylishly decorated with en suite facilities and many have original features. Some of the rooms have a large plasma-screen TV. Free wireless broadband is available in all of the rooms. Ticknall is a picturesque village situated in Derbyshire. Just 10 minutes walk from The Staff of Life are the historic grounds of Calke Park, often hosting concerts and events. The Staff of Life offers traditional food in a warm pub atmosphere, using locally sourced produce wherever possible. A Full English Breakfast is included for guests. 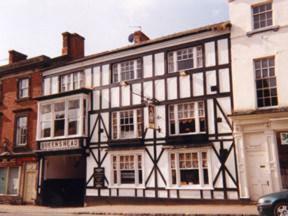 The Queens Head Hotel - This 17th-century coaching inn is located on Ashby's main high street. Family run, it offers a bar and a lively weekend nightclub. The Queen's Head Hotel is close to all the main local motorways, and a short journey from Birmingham and East Midlands Airport. An intimate front bar is open until either 22:30 (Sunday), 23:00 (Monday to Wednesday), 00:00 (Thursday) or 01:00 (Friday and Saturday). On Fridays and Saturdays, the hotel features Ciros Night Club (open till 02:00) and The Loft Bar (open till 01:00). It's popular and so a bit noisy, but residents are on the club's guest list. The hotel also features a large outside smoking area.